Eventually, Pinocchio, Vampire Slayer was picked up and published in 2009. 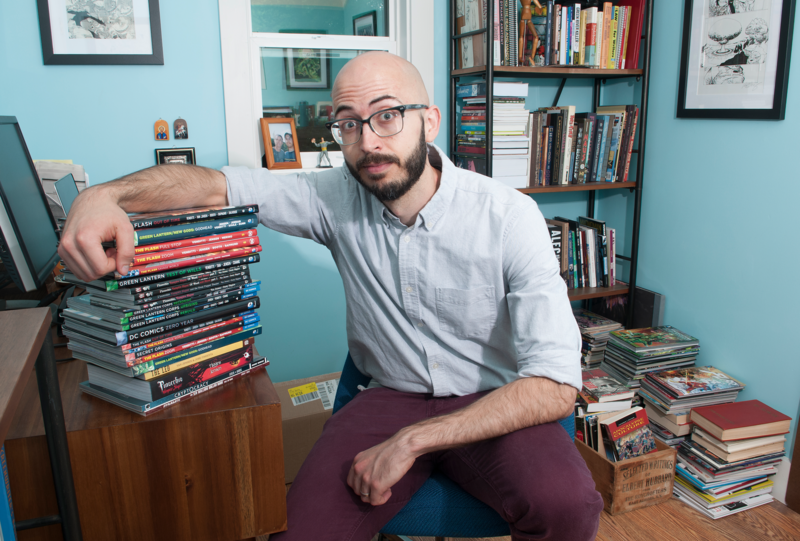 Afterward, Jensen started moonlighting at Top Shelf Productions, a publishing company based in Marietta (which was acquired by IDW Publishing two years ago), to learn more about the business, all the while maintaining his day job as assistant editor at Georgia Techbs alumni magazine. He wrote comics whenever he could, and in 2013, he got a call from DC, asking him to take over Green Lantern Corps, and later, The Flash. Even though Jensen has only been doing the film stuff for a little while now, hebs already got his hands full. In addition to writing an original screenplay, he also just finished directing a second short called Hot Yoga (which was adapted from a comedy sketch by Highwire Comedy), and hebs also preparing to direct two music videos for local hip-hop group Far Out Family.